Those are incredible photos! You never disappoint! Your photographs are amazing, and could be an ad for that new iPhone’s camera! 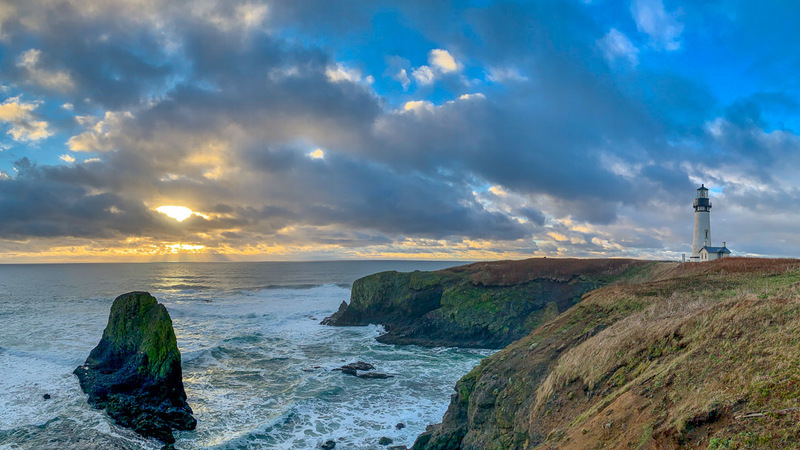 How fortunate you are to have been at the coast that day to experience (and capture) such special moments. Thanks, Marsi, so much appreciate your kind words! 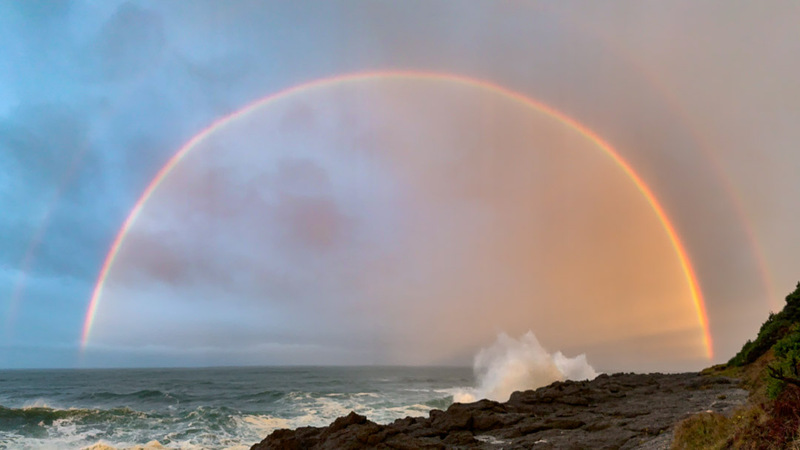 I love the Oregon coast, and the weather that day was special, I truly was grateful I could capture it that way. 15 minutes later it was pouring down again…. Wow! This is an amazing image! Love rainbows myself. Fantastic shot! Thanks for sharing. Thanks, it was a sign from mother nature indeed! Hugs, my friend! Amazing captures. Do you shoot RAW on iphone? Thanks, Arv! No, hit was jpg. I always forget to turn on the app that does the raw…. Stunning. Your photos say it all. Amazing photos! This has me thinking I may need to upgrade from iPhone 7 !! Very nice shots! I find it interesting that yesterday I also witnessed, photographed and posted pictures of a rainbow! Nature and Earth continues to provide very similar as well as very diverse opportunities for us to enjoy. Thanks, appreciate your kind words! And yes, nature treats us well. Better then we treat it back…. A gift given to you by nature…the awesome moments that can never be repeated…a gift shared via technology…silently shared. Thank you. Gorgeous photos Marcus, especially the rainbow. Hope you have a great Sunday, Marion.